Colombia has the world’s richest bird population, with more than 800 different species found in the Amazon jungle. This excursion will give you the opportunity to admire and appreciate the wonders of nature, exotic bird specimens and some endemic ones such as Brotogeris versicolurus, the Tyrannus albogularis and Piuri – Crax globulosa, among others. 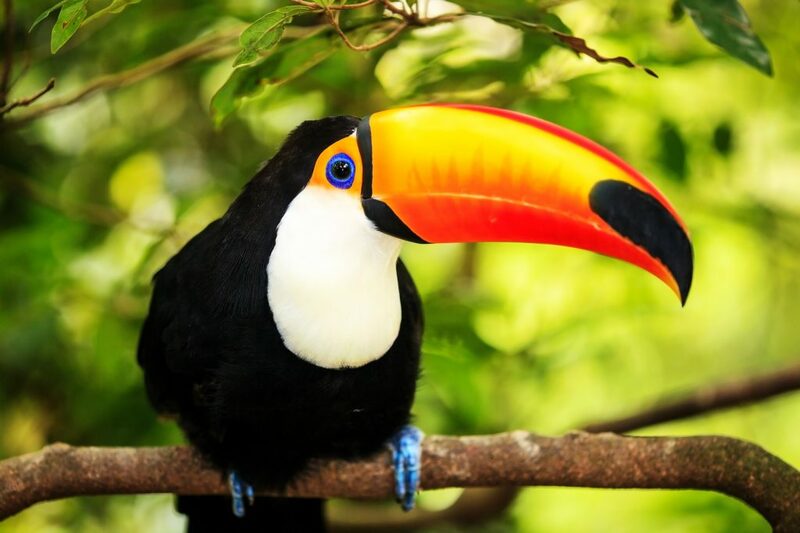 Learn more about how to go on Bird Watching Tours in the Amazon. For this activity, you will count on the company of an ornithologist who will introduce you to the magical world of birds, turning Bird Watching into a special excursion. This will help you identify and enjoy the different species during this walk through the Amazon jungle. The activity will take place in two areas, depending on the season of high or low waters. One of the areas is La Milagrosa, This tour includes a pleasant walk of approximately two hours through small villages. The other alternative includes a 25 minutes boat ride on the Amazon: to the beautiful Isla de Gamboa, an island inhabited by a wide variety of exotic birds. The walking tour and bird watching take around two hours. Transportation on a typical motorboat for more than 10 passengers, soft drinks and the company of a professional Spanish-speaking ornithologist. Make sure you wear comfortable closed shoes, pants and long-sleeve shirt, and don’t forget to use repellent. Avoid the use of perfume or strong fragrances, since they may scare away the birds.